September 13, 2017 Domino Plastics Company Inc. 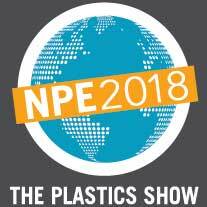 Port Jefferson, NY—Domino Plastics Company Inc. will showcase its’ plastic scrap recycling services at NPE2018: The Plastics Show—the largest plastics conference and tradeshow in the world, featuring more than 65,000 buyers from across the globe and more than 1 million square feet of exhibit space—May 7-11, 2018 at Orange County Convention Center in Orlando. Domino Plastics is a full-service plastic scrap recycling company that has been in business for 30 years. They buy and sell all types of post-industrial plastics. “We are looking forward to this year’s plastics’ show in Orlando. NPE has been a great resource for Domino Plastics to connect with manufacturers who generate scrap or need recycled raw materials,” said Domino Plastics’ COO Michael Domino. Attendees can register for a complimentary pass to NPE2018 using Domino Plastics Company’s unique registration link: http://www.npeguestpass.org/47824. For more information about NPE2018: www.npe.org. About Domino Plastics Company Inc. Since 1983 Domino Plastics has been collecting and reselling post-industrial plastic scrap. They offer the best prices for plastics, and next day scrap pickup in the USA. Recognized as the world’s largest plastics trade show and conference, NPE2018 brings together all industry sectors, including vertical and peripheral markets, end markets, brand owners and recyclers. Held every three years, NPE attracts more than 65,000 plastics professionals and features industry-focused education and leading suppliers of emerging technologies, equipment and materials for every phase of plastics processing, all in 1 million square feet of exhibit space. Building on its most successful show in 2015, held in Orlando, Florida, NPE2018 anticipates even greater participation from up and down the global plastics supply chain when it returns to Orlando in 2018. NPE is produced by Plastics Industry Association (PLASTICS) and is the only international plastics event produced by the industry for the industry. For more information, or to register: www.npe.org. The Plastics Industry Association (PLASTICS), formerly SPI, is the only organization that supports the entire plastics supply chain, representing nearly one million workers in the $418 billion U.S. industry. Since 1937, PLASTICS has been working to make its members and the industry more globally competitive while advancing recycling and sustainability. To learn more about PLASTICS’ education initiatives, industry-leading insights and events, networking opportunities and policy advocacy, and North America’s largest plastics trade show, NPE2018: The Plastics Show, visit www.plasticsindustry.org. Connect with PLASTICS on Twitter, Facebook and LinkedIn. September 7, 2017 Domino Plastics Company Inc.
Orlando, Fla. — With meteorologists predicting that Hurricane Irma will be a Category 5 storm by the time it hits Florida, the Society of Plastics Engineers Thermoforming Division has announced that it is canceling its annual Thermoforming Conference. The 26th annual event was scheduled for Sept. 11-13 in Orlando. July 28, 2017 Domino Plastics Company Inc. Plastic production is rapidly accelerating, according to an ambitious new paper—but only 9 percent of it gets recycled. February 28, 2017 Domino Plastics Company Inc.
Top dollar paid for all types and forms of post-industrial plastic scrap. Why wait? Sell your plastic scrap today for the best price. Contact Joe@domplas.com. (631) 751-1995. Text (516) 972-5632. Send details and pictures for a prompt price quote and to arrange speedy pickup and payment. Reliable service guaranteed. October 6, 2016 Domino Plastics Company Inc.